A new drone video published on Sunday shows that while construction and landscaping is winding down at Apple Park, it remains in progress -- and may continue through the facility's first anniversary. Previously known as just "Campus 2," Apple Park received its official name in February 2017. 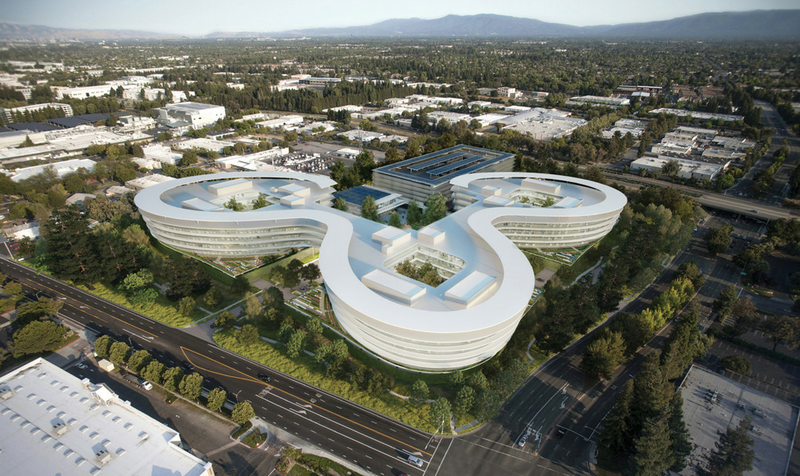 Staff began moving in a few months later -- it's not yet clear if the transition from 1 Infinite Loop is complete, particularly since the new headquarters should be able to fit some 12,000 people. What a beautiful building and facility overall! I love how the roof over the entrance to Steve Jobs Theatre rests on curved glass walls! It will look simply gorgeous in ten years time when the trees, plants, and ground cover have matured. I notice that on the sunny side of the Mothership, all the windows seem to have shades or some other sun blocking material closed. I'm wondering if this is automated? It was very uniform, not one window was unshaded. I hadn't heard anything about automatic window shading in all the articles I've read over the last couple of years. Of course it makes sense to have such a system - it would be integrated with the HVAC automation as well. Would be great for Apple to produce some videos or documents explaining and showcasing the systems in this building. Did I read somewhere that they’re building another campus almost as big? Very nice. I hope that the people working in there have the time to enjoy it. Looks pretty amazing. Does anyone know if Uncle Tim has moved in yet? He’s not answering his cell phone. Maybe you're thinking of Amazon looking to open up a second HQ. What's the music playing in the background? Shazam can't seem to pin point it for me. 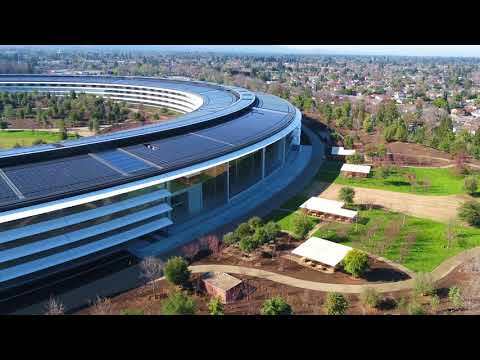 I’m not complaining but wouldn’t it be nice if Apple had some kind of open house for the public just to walk through the facility ands those gardens in the center of the building? A one time deal of course. It would be a fanboy’s bucket list dream. The visitor’s center will have to do I guess. Yes, you are probably thinking of Central & Wolfe from Landbank Investments, Apple is said to be leasing the 777,000 square foot campus in Sunnyvale California. I don't know if construction has even started yet as this story came out in October of 2015. Silicon Valley Business Journal had the scope on the story. At 1:56, I notice about 8 flat-top canvas tents with chairs set up for presentations and meetings. About half of the tents are outside the ring, the other half inside it. It looks like seating for about 25-30 under each tent. There also appears to be two large, permanent structures devoted to restrooms, refreshments and the like. So Apple evidently has plans to integrate aspects of the great outdoors into its everyday business. my guess is that it's permanent outdoor seating...the cafe is right there.